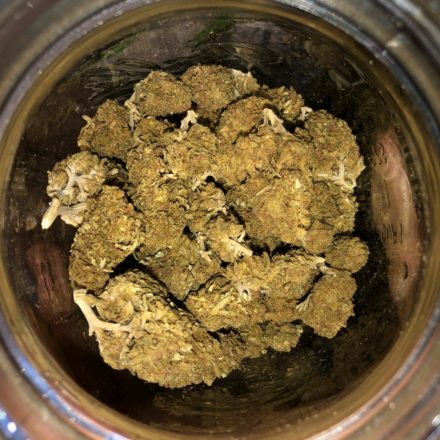 Superglue, also known as “Superglue OG,” is a slightly indica dominant hybrid (60% indica/40% sativa) strain created through a cross of the classic Afghani X Northern Lights strains. Wonder where this bud gets its name? Take a few hits and you’ll definitely see. Just a few tokes of this heavy-hitter and you’ll be couch-locked and immovable, almost like you’re glued to your seat! The high hits you first with a euphoric boost that does offer an increase in energy although not enough that you’ll really be able to do much of anything. As your happiness grows, a deep feeling of relaxation will slowly wash over your entire being, both physically and mentally, pulling you deeper and deeper into a state of lazy calm before you suddenly realize that you can’t really (and don’t really want to) move. 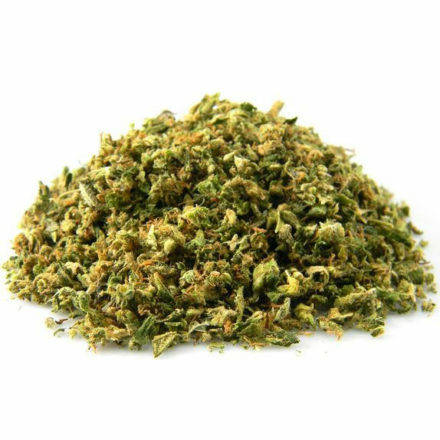 With these heavy effects and its powerful 23% average THC level, Superglue is the perfect choice for treating chronic fatigue, pain, muscle spasms or tremors, depression, and nausea. Superglue has a sharp chemical citrus flavor that can be pretty harsh and a pungent earthy pine aroma to match. This bud has small piecey pebble-shaped forest green nugs with tons of tiny fuzzy orange hairs and a coating of golden crystal trichomes.